Welcome back, listeners. This month we are discussing Confederate Monuments. Back in August white supremacists and neo-Nazis marched down the streets of Charlottesville, Virginia and this dramatic display turned violent and ended in the death of one young woman, and injuries to many others. After years of growing controversies around Confederate symbols, this day focused even more attention on the relationship between the Confederacy of old, white supremacy, and current social and political realities. 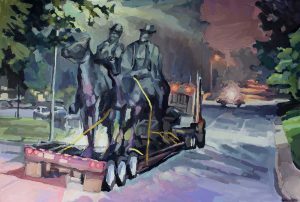 In this episode of Press Record, we are focusing on a confederate monument on UNC’s campus called Silent Sam. For decades he’s been a source controversy, and currently students and local activists are calling for his removal. 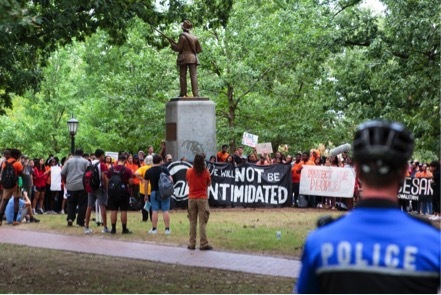 We hope that by exploring the issues surrounding Silent Sam and what he means to generations of North Carolinians, we can help unpack the wider issues. We’ll hear from John Sellars, an African American student activist who attended UNC in the 1960s, during the early years of the university’s integration, Mistyre Bonds, a current African American student activist, and Dr. William Sturkey, a history professor here at UNC. A protest of Silent Sam at UNC Chapel Hill on September 14th, 2017. Photo credit: Barron Northrup (Daily Tar Heel). Our panelists are Sheffield Hale, President and CEO of the Atlanta History Center; Blair L.M. 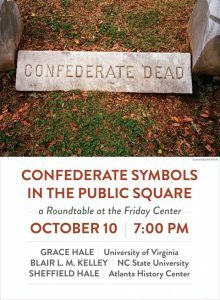 Kelley, Associate Professor of History and Assistant Dean of Interdisciplinary Studies at N.C. State University, and Grace Hale, Commonwealth Professor of American Studies and History at the University of Virginia. 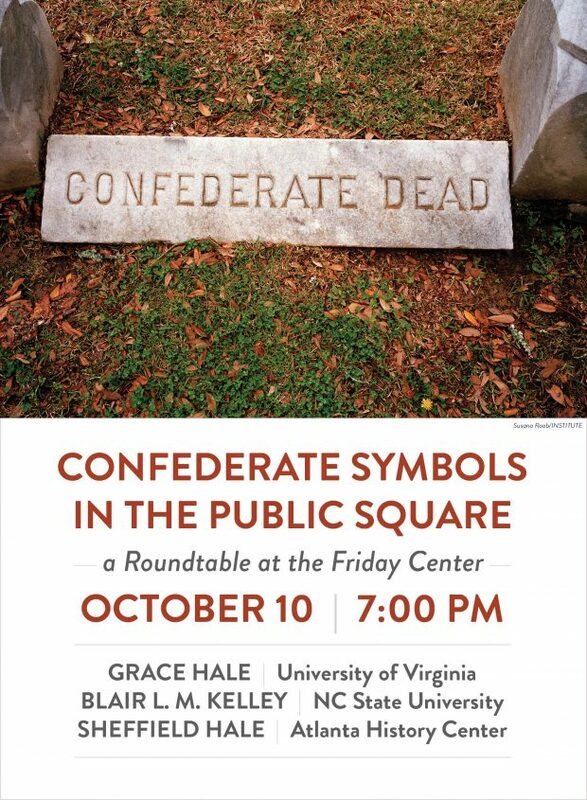 This event, co-sponsored by the Department of American Studies, the Sonja Haynes Stone Center for Black Culture and History, and the William and Ida Friday Center for Continuing Education, is free and open to the public. For John Sellars’ full interview, click here. 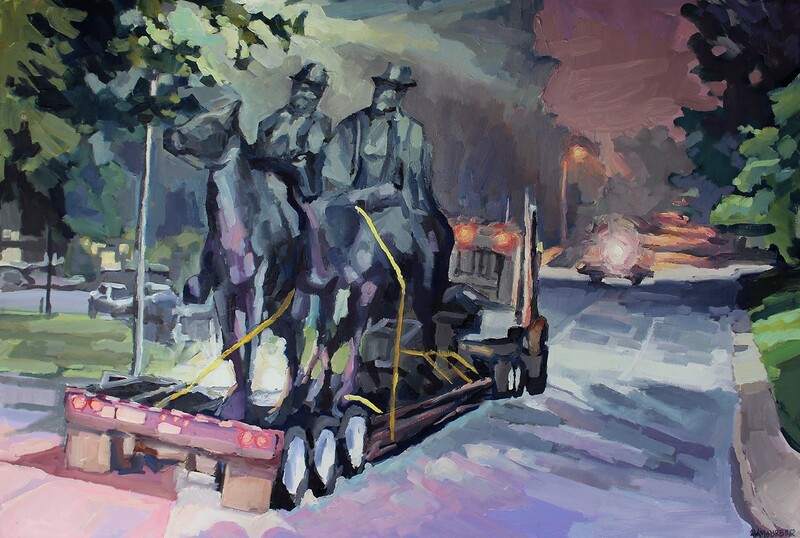 Local artist, Ben Hamburger, is painting an ongoing series documenting the removal of Confederate Monuments throughout the South. See more of his work here.